SunTrust Park is the home of the Atlanta Braves. Formerly, the Braves played at Turner Field. One of my favorite photos is Chipper Jones at Bat. 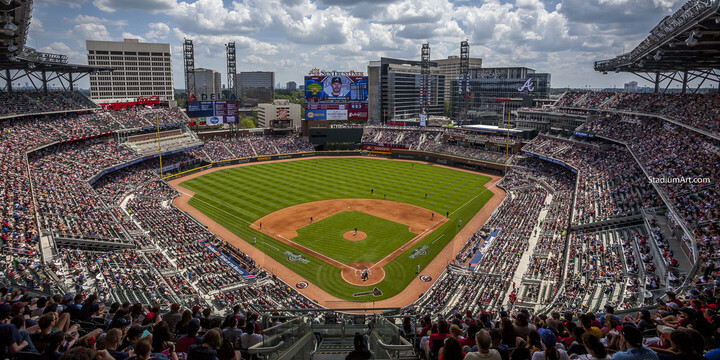 New photos of SunTrust Park have Freddie Freeman and Dansby Swanson at bat. Legends of the Atlanta Braves include Hank Aaron, Bobby Cox, Tom Glavine, Chipper Jones, Greg Maddux, Eddie Mathews, Dale Murphy, Phil Niekro, John Smoltz and Warren Spahn. The fine art photos are available in various sizes including 11x14 photo, 13x19 print, 8x10 image and 40x30 canvas frame.